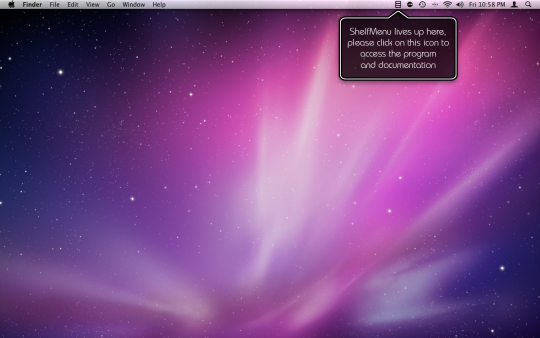 With ShelfMenu, you can store all sort of information and have it accessible with a couple of mouse clicks or keyboard shortcuts. The information is stored without any losses, and you can always restore it for further use.The main idea is: "If you can copy it, you can store it in ShelfMenu. 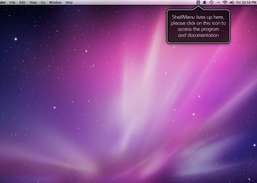 "ShelfMenu accepts input from the following sources:- The system clipboard: whatever you have copied, can be stored in ShelfMenu. When you need the information again, you will be able to restore it on the system clipboard.- The current selection: you do not need to copy, in most applications you can simply select what you want to store, and send it directly to ShelfMenu.- Text notes: ShelfMenu allows you to quickly enter a text note and store it in the Inbox for further processing.The information can be stored in folders, quickly accessible from the system menu bar.ShelfMenu offers an Organizer to sort and organize the information as you want. The generic workflow is to send all snippets of information to the Inbox, and then rename them and sort them in folders.